Together with Goochem Dutch Design Maarten Olden developed new products for the ‘Amsterdam’gift-market. We started with these two products made out of Amsterdam city-wood. Maarten Olden designed, Hans Neijts makes the products in his woodshop in Amsterdam. The package-design was made by Lola Ortega, also living and working in Amsterdam. 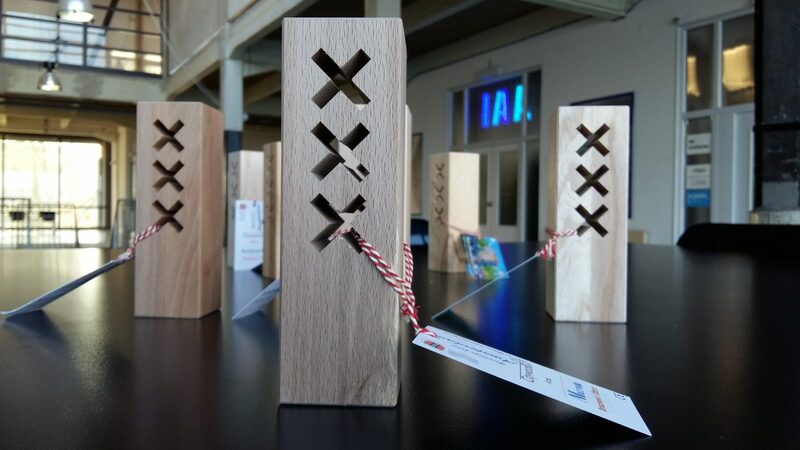 The first products is a wooden candleholder made out of a beautiful piece of wood taken from the stock of amsterdam-city-wood, an organisation that tresures the trees cut by the Amsterdam city. The wood from these trees can now be enjoyed by you! 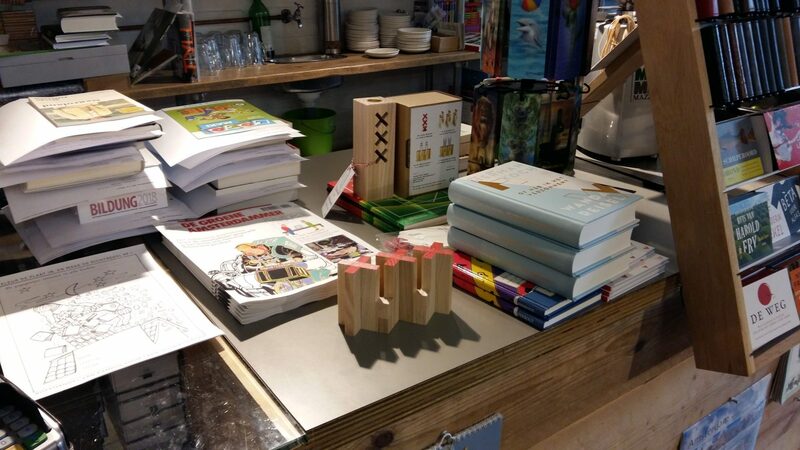 The second product in this first batch of product is a puzzle consisting of 6 pieces of, again, Amsterdam city-wood. 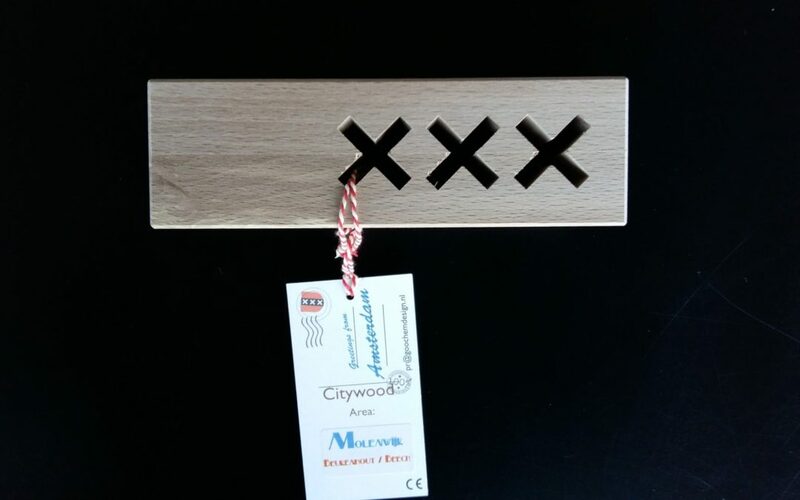 The 6 pieces can be configutated into the logo of Amsterdam, it is held together with the use of very tiny magnets. When the puzzle is finished it can be used on your desk or table. the puzzle doubles as a pen-holder or candleholder. (but always keep in mind to keep burning candles attended! ).